I've ONLY put them on top once the WSM gets up to temp so--> Proper temps then wood on top then immediately put on the meat. Always get a great ring . Didn't help me any (chucks, or chips in foil) unless I let the wood smoke a while before adding the meat. Cherry might be an exception. Last edited by Rusty James; 02-11-2019 at 10:10 PM. 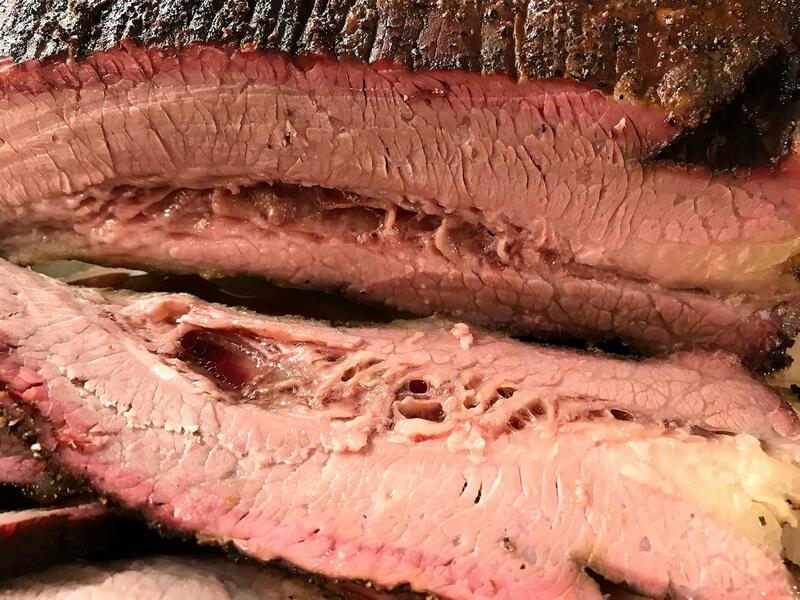 If wood chunks are smoldering in a WSM and giving off an acrid smoke, then I've made a lot of good barbecue with my WSM over the past 16 years by using smoldering wood and acrid smoke. Harry Soo is the outlier. He's got the proof in his trophies. Don't have to take his word for it. And he doesn't scrimp on the amount of wood he uses. Someone needs to make a YouTube vid of one of Harry's " three hour arguments " between him and Aaron Franklin on the qualities of smoke. I'd pay to see that one. Franklin says to not use kiln dried wood in a stick burner, but note in the Yoder vid I posted above, they recommend a kiln dried wood, in fact, an expensive Cattlemans brand. I think maybe a kiln dried wood is better for the WSM, because it ignites with lower air flow. Green wood has more moisture, which takes higher temps to burn off , and doing that puts off a smoldering smoke. 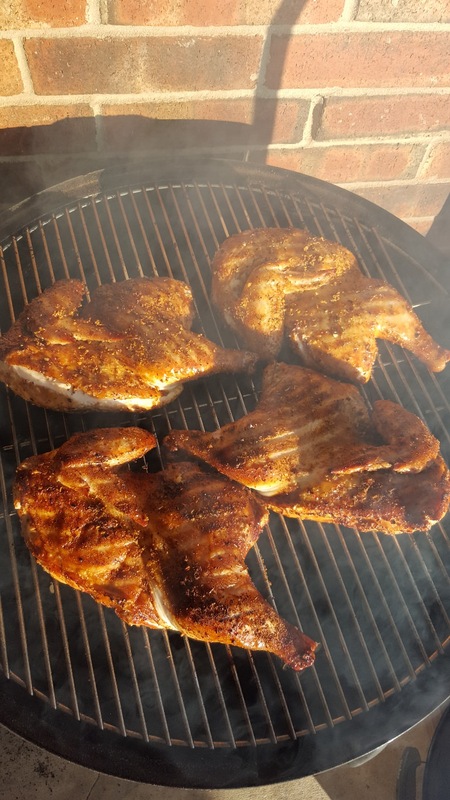 I've always used kiln dried chunks in my WSM. What comes to mind after reading all these opposite-end-of-the-spectrum opinions (not by members necessarily but the "experts") I wonder who sponsors the experts with cash. Look who the sponsors of the experts are and that will give you a good clue as to the direction the expert is pointing you to. Coffee is good for you. Coffee is bad for you. Carbs are good for you. Carbs are bad for you. Low fat is good for you. Low fat is bad for you. And one that I really like: breakfast is the most important meal of the day. Who pushed that one?? Breakfast cereal manufacturers, that's who. Look at it this way: read the opinions. Decide what seems reasonable in YOUR circumstances. Decide on a method and try it. (or that YOU should like). Here's a pic I got of the WSM with good airflow. But I was smokin high heat yardbird, had all vents wide open, and did not have the water pan in the cooker to restrict the flow. The smoke here is colored white, but it was also in the evening with my light right behind it. But notice how that smoke is shooting up out of the top vent. I notice on my stick burner, when I get the worse kind of smoke, its white and puffy and it billows out of the stack, does not shoot straight out like this. And at times, when I'm getting smoldering smoke, it will back up and come out of the firebox also, because I don't have a good draw. 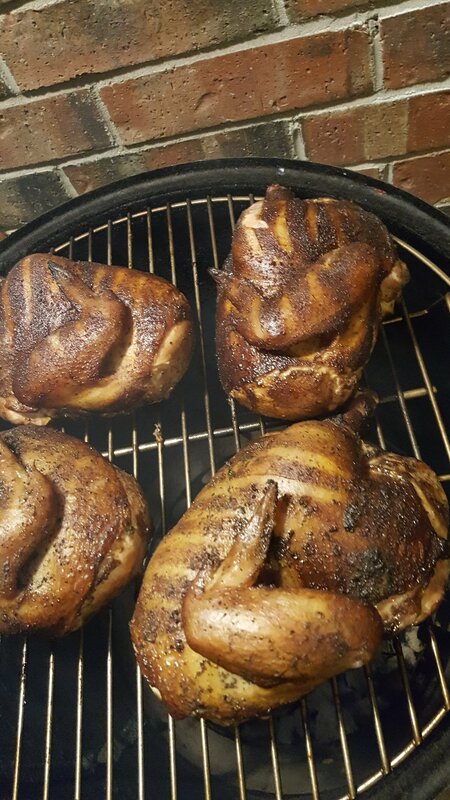 And on that cook, I got too much smoke on the bird. I was using cherry, and the bird should not be that dark. That chicken looks great to me! I think some of that smoke you've got isn't from your chunks. A lot of that is probably steam and the dripping burning. 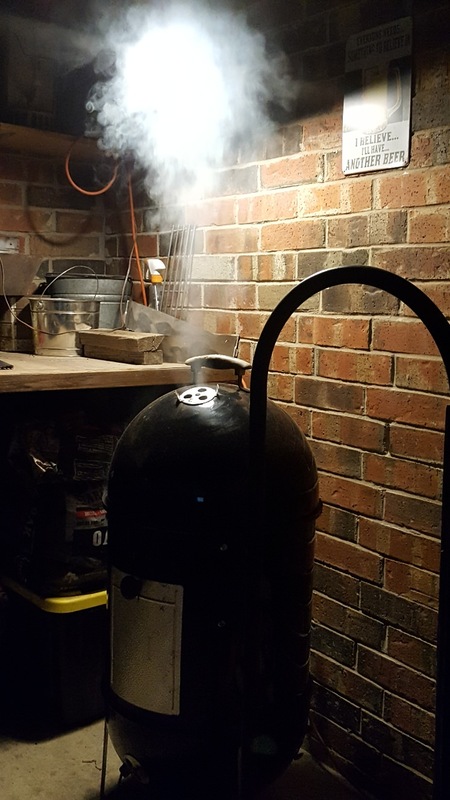 This subject of good / bad wood smoke, in this thread, is probably the hardest part of smoking meat with charcoal for me. Even though my method of placing smoke wood directly on the grate has reaped the most rewards, I have occasionally ran into problems in spite of it all. I have seen wait times of at least two hours before adding meat because of white smoke. One sure way to tell if white smoke is full of creosote is to place an oiled grilling surface on the top rack of the WSM and see if it turns yellow. If it turns yellow, quickly swipe a wet finger across the grill and taste the residue. Chances are it will taste like a phone pole. On the other hand, I have seen white smoke coming from the charcoal itself, but that kind of smoke is a bit more forgiving unless you are smoking poultry. I get my best results using a quality lump charcoal, such as Royal Oak lump, in the 18" WSM. I have never used it in the 14" smoker due to the small coal ring and the largeness of the lump itself. Maybe I need to play around with the vents more when using charcoal? As others have already said, I think it allows the wood to warm before actually starting to burn. The way I look at it, it's like adding more coals to an already burning smoker. If you just toss more unlit coals on top of your lit, it will light up and give you white smoke, as you get when you first light the smoker. If (and what I try to do if I have to add coals) you move your lit to one side and add the unlit, let it warm up for a bit and then move them together it'll light and won't give off white smoke, the same as if it had been in the ring the entire time. I really think the same thing goes for the wood chunks as well. I tend to bury my wood, but at different levels. I certainly don't use 8 pieces, but I'll put a couple of good sized chunks at the grate level, and then bury a couple more about halfway up the ring, and then possibly a couple more flush with the top level of coals. 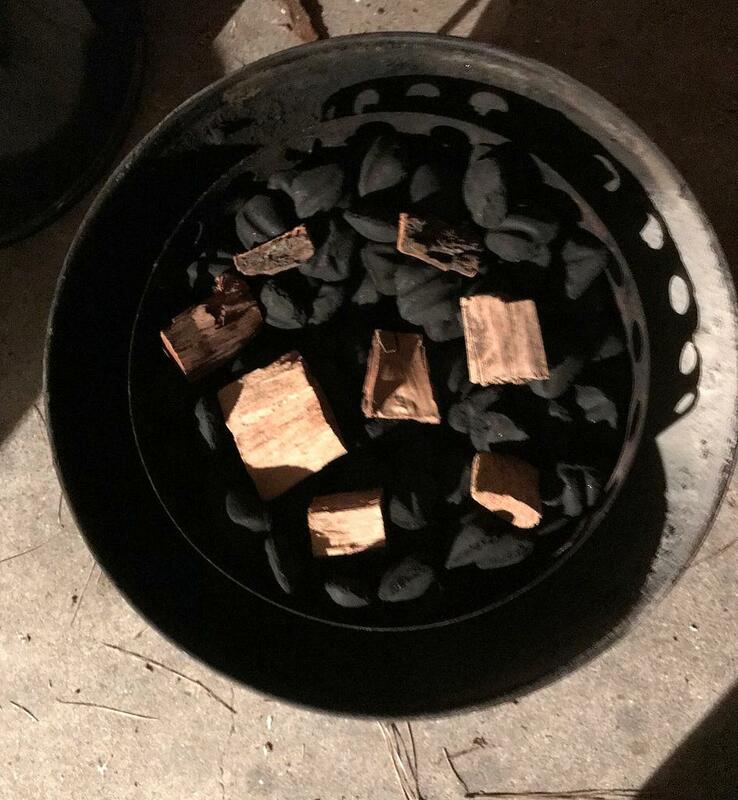 Makes one wonder if placing wood, and / or charcoal, in a shallow container, and setting it on the grates of a gas grill (on low heat) for a while would eliminate smoke burn-off before placing the wood / charcoal directly on lit charcoal in the WSM. Last edited by Rusty James; 02-17-2019 at 07:24 PM. Thank's for the most excellent video in post #4 Chris. Being from the South, give Pecan and even Mesquite a good try for beef. On edit this was Pecan.